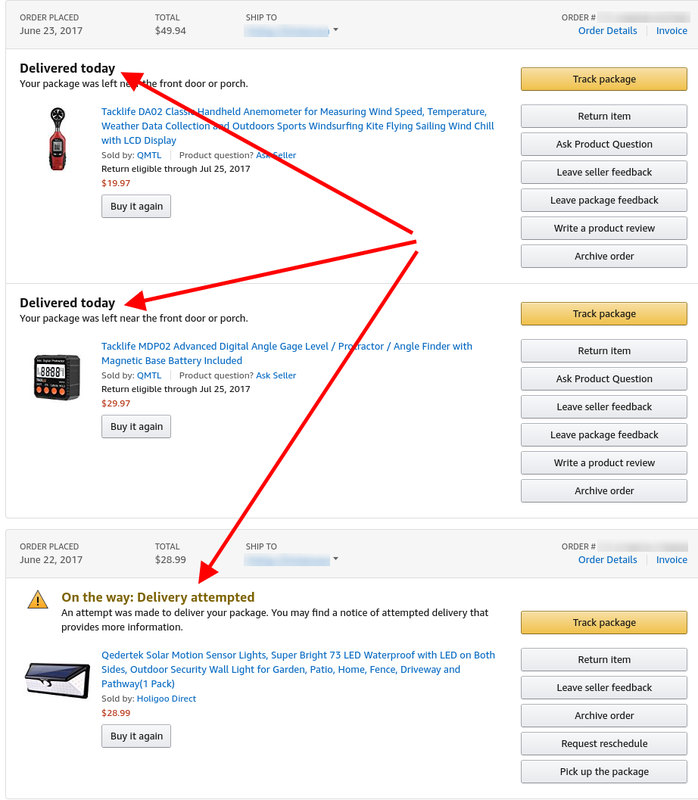 Home / amazon prime / attempted delivery / delivery / lying / package / ups / usps / Does the USPS lie about attempted deliveries for packages and Amazon Prime? I think most people would agree with me that Amazon Prime is pretty Amazing. If you buy more than 10 packages or so from Amazon a year it is definitely worth getting Prime. For the most part, everything has gone really smoothly with Prime. Packages arrive when they are supposed to and life is good. Every once in a while, I have a problem with a shipment; today's problem was something that caused me to question the integrity of the United States Postal Service (USPS). It seems like at times (such as today), they are blatantly lying. Today at around 3:20PM I got a knock on my door. As soon as I heard the knock I went downstairs and opened the door (total time about 15-30 seconds. I opened the door to find two packages. This seems normal. I was expecting three items. They probably just put two items in one box. Nope. Just two items. OK. That seems weird. USPS clearly delivered a package, yet they said they missed me. I was thinking that maybe one of the packages was UPS but nope; all USPS. As soon as I got this email I went to Google to research what was going on. A simple search for "does usps lie about delivery" brings up some interesting results. It seems like similar questions have been posed on sites like Quora, Yahoo, Reddit, Hacker News, and someone even posted a Youtube video of a package clearly not even being attempted to be delivered. Bottom line: I am not the only one who has seen this problem. So let's investigate my situation in particular. Is this a blatant lie or an honest mistake? Perhaps just someone being lazy? 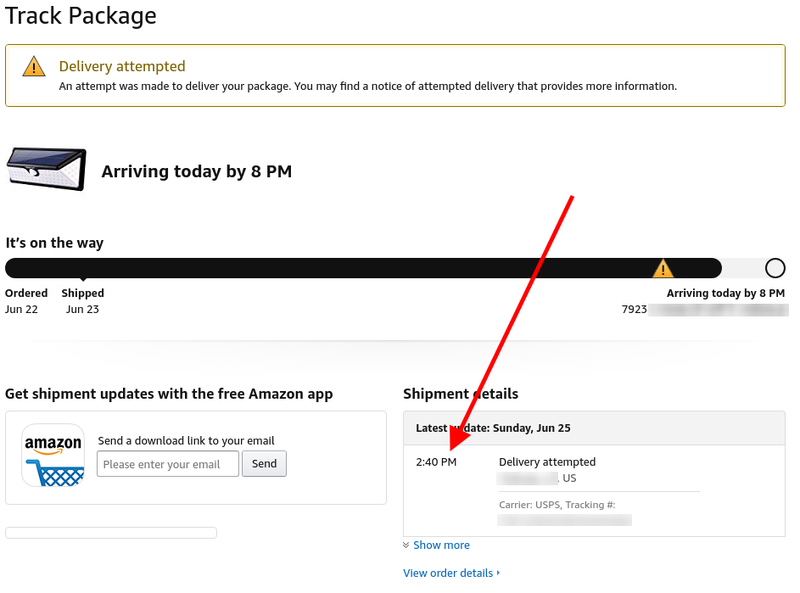 From here we can see that two package were delivered and one was "attempted." Keep in mind, I have been home all day and the one time there was a knock on my door, I answered it promptly (though not immediately I suppose). Again. It was likely 15-30 seconds. 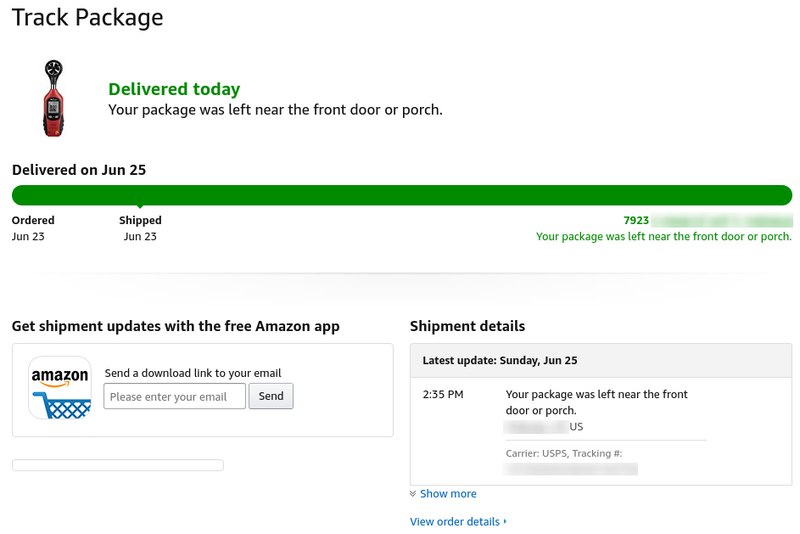 Package #1 - Delivered at 2:35PM "Your package was left near the front door or porch." This is true. The package was on my doorway. 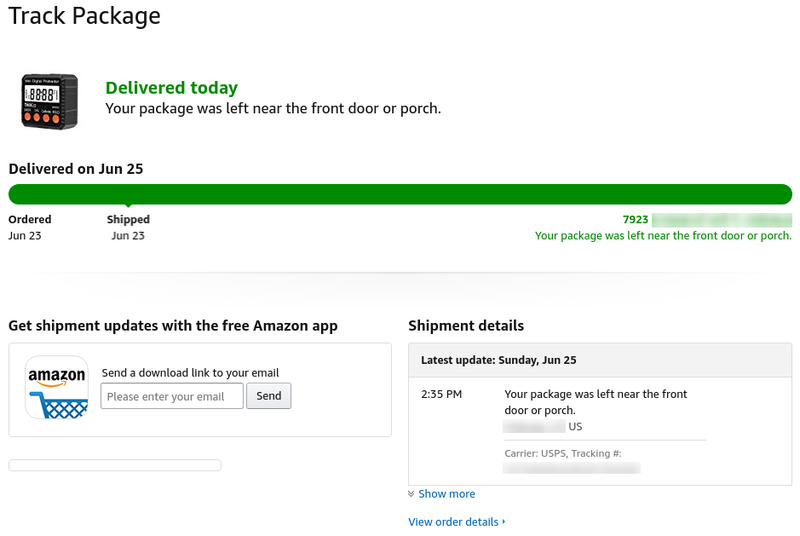 Package #2 - Delivered at 2:35PM "Your package was left near the front door or porch." This is true. The package was on my doorway. Clearly both of these packages were delivered at the same time. Package #3 - 2:40PM "Delivery attempted"
OK. The times are 2:35 and 2:40. So clearly, this indicates it is the same delivery person. The third package had explicit instructions not to be left on the front porch (I think this is the case for rather large packages). The package was not in the delivery truck but still at the packing facility. The package was still in the delivery truck and just overlooked. Scenario #1 - The third package had explicit instructions not to be left on the front porch. This seems unlikely. The third package should be about the same size as the other packages. 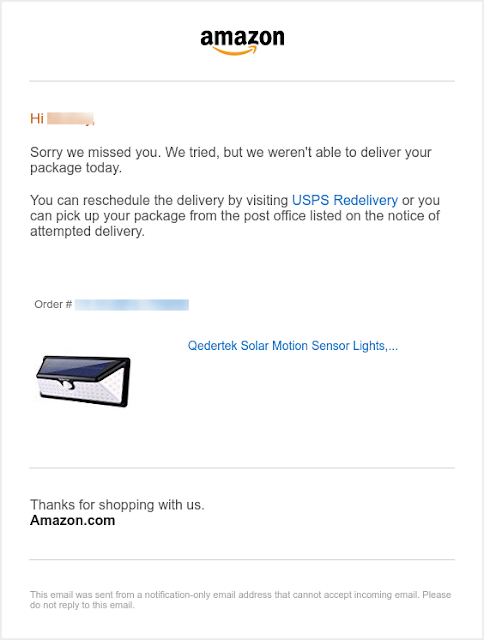 I was thinking that maybe because that package had a battery label on it, it would have instructions not to be left on the porch. I don't think this is the case because one of the other packages already had this label and I have had many packages left on my porch like this. Scenario #2 - The package was not in the delivery truck but still at the packing facility. This does not seem likely either because the times are too close... this would mean that either the driver and someone at the sorting facility were working together, or by random chance, delivery time just happened to be only five minutes apart from someone at the sorting facility marking it as attempted delivery. Scenario #3 - The package was still in the delivery truck and just overlooked. The USPS delivery person came by with two packages. Marked on the scanner that they were left on the front porch, knocked on the door, then walked away. (I get packages weekly, and while UPS tends to wait at the door for a while, USPS I don't think has ever waited; they simply knock as a notification and walk away). After the USPS person got back to the truck, they must have realized that they left a package behind. Rather than going back to my Condo unit (a whole 20 seconds of walking), they just marked it as attempted delivery (hence the 5 minute time difference). Sadly, I don't have a security camera and can't really prove anything. Yes; well.... probably. At very least, if they are not lying, they are simply being lazy, and their definition of "attempted delivery" means to wait for approximately 2 seconds to see if anyone will answer the door. If you have any thoughts or similar experiences, please write a comment below. There really is no point to the blog post except to rant. Usually I don't mind if a package is being delayed, but for this package in particular I explicitly needed it on this date. 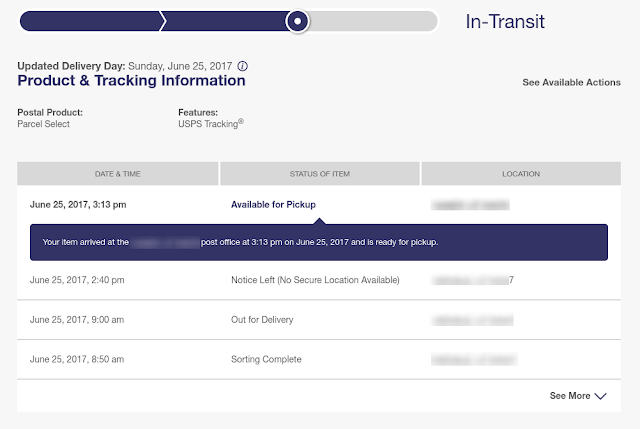 USPS; if you are reading this, please instruct your delivery people to be a little more patient. And perhaps just a little more honest as well. They lie all the time. I've had this happen numerous times, and Amazon certainly is aware. They prefer to lie to people about 2 day Prime shipping. I've had some deliveries come as much as 5 days late. It is getting so I just won't order things if they're shipped through the Post Office. This happens to me all the time. In my case, if the item shipped is bigger than an envelope, I end up having to go the the post office and pick it up. I get the attempted delivery BS notice and it is USPS CYA. On several times I have asked amazon to OPT out of USPS and I get a different answer every time, can be done, cannot be done. So my solution is this, after my order, if my tracking number comes up as USPS, I cancel the item. Amazon and the USPS can figure how to get it back if it has already shipped. It is easier to order from someone else or buy local than it is to the take off work, drive to post office and stand in line. Especially when your are paying for home delivery.